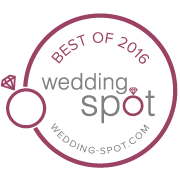 We are a wedding venue in beautiful Dorset, in northeast Ohio. Our dreamy property has a variety of settings for your ceremony and reception, including a small rustic barn setting, fields, a small lake, and several spots nestled among the pine forest that lines the property. We host weddings from late May through late October. The rest of the year the venue is quiet while Jean and Jon tend the property that has been their family home for the past few decades. Jean Freeman, the founder of Blue Heron Lake Wedding Venue, has been happily married for many years, and the expansive property now serving as a venue has been her home for most of her married life. She raised her 4 children and many beloved pets on this property where they ran, swam, and played in the summer sunlight during youth. She now welcomes you to this land that has been home to so many of her dearest memories, and invites you to make memories of your own as you embark this beautiful new time in your life. Contact us for pricing and tell us about your special day!